The movement of nationals of one country into another for the purpose of resettlement is central to Canadian history. This timeline charts significant migrations that have shaped our nation. Almost 1500 German settlers arrived at Lunenburg, NS.They built a palisade for defence on the present site of the academy, drew lots and planted some crops. Canada developed a reputation as a safe haven for Blacks during the American Revolution, 1775-1783. The British promised land, freedom and rights to slaves and free Blacks in exchange for services rendered. Some of the Black Loyalists who reached Nova Scotia belonged to the "Company of Negroes" that had left Boston with British troops. The first United Empire Loyalists — 1,124 refugees from New England — arrived in Halifax, NS. Another 40,000 or so followed them to NS and to Québec. The immigration resulted in the formation of New Brunswick and Upper Canada. Thirty-five thousand Loyalists immigrate from New York State. 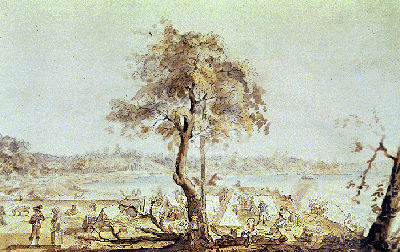 Three hundred Scottish Highlanders settled at Sydney, NS. British Vice-Admiral Alexander Cochrane's offer of transportation for anyone wanting to leave the United States was widely circulated among the Black population. Four thousand former slaves deserted to the British side and were transported to the British colonies. About 2,000 refugees set sail for Nova Scotia from September 1813 to August 1816. Canada's reputation as a safe haven for Blacks grew substantially during and after the War of 1812. Between 1815 and 1865, tens of thousands of African-Americans sought refuge in Upper and Lower Canada via the legendary Underground Railroad. Robert Chambers told a committee of the British Parliament dealing with emigration that London was too full of children. He recommended that Britain's surplus children be sent to Canada as farm labour. Henry Bibb was a rebellious slave who escaped to Detroit around 1840 and began speaking publicly against slavery and organizing abolitionist groups. A decade later, he moved to Windsor and founded the Voice of the Fugitive, which reported on the Underground Railroad and colonization schemes. Shadrach Minkins, who had escaped enslavement in Virginia and reached Boston in 1850, was arrested under the Fugitive Slave Act by U.S. Marshals posing as customers at the coffee house where he was employed. At his trial, Black and white abolitionists of the Boston Vigilance Committee forcibly removed Minkins from the court house and transported him to Montréal by way of the Underground Railroad. The number of abolitionist sympathizers grew in Canada in the 1850s-1860s. As more Black refugees entered Canada, sympathizers formed organizations and committees to influence public opinion and help freedom-seekers make their way north. On 26 February 1851, the Anti-Slavery Society of Canada was formed, "to aid in the extinction of Slavery all over the world." By mid-century, Great Lakes steamers regularly transported Blacks to Canada. 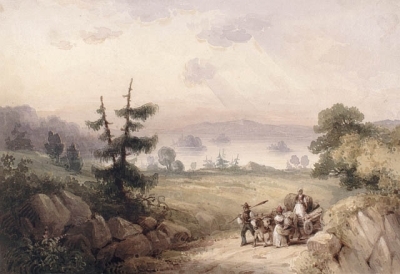 Underground Railroad agents used scows, sailboats, and steamboats to deliver their precious cargo to Canadian shores. This sustained migration prompted one Toronto Colonist editor to complain on 17 June 1852 that "every boat arriving from the United States seems to carry fugitive slaves." The wife of merchant Kwong Lee arrived in Victoria, BC. She was Canada's first female Chinese citizen. Black refugee "John Anderson" was arrested for having murdered Seneca Diggs, who tried to prevent his escape. He was tried by the Court of Queen's Bench and ordered extradited. British abolitionists got the case before the Queen's Court in England. The case was dismissed on a technicality; the arresting warrant had not mentioned murder. Politician Sir Clifford Sifton, best known for his aggressive promotion of immigration to settle the Prairie West, was born near Arva, Canada W.
American abolitionist and writer Benjamin Drew conducted research in Canada in the 1850s and interviewed many former slaves about the Black refugee experience. 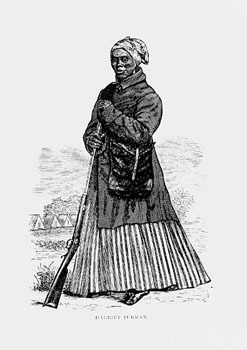 In 1865 he published an interview with an elderly woman named Sophia Pooley who claimed to have been one of Joseph Brant's slaves and the "first Black girl in Upper Canada." The first known immigrant from Japan, Manzo Nagano, settled in Victoria, BC. The first wave of Japanese immigrants, called Issei (first generation), arrived between 1877 and 1928. 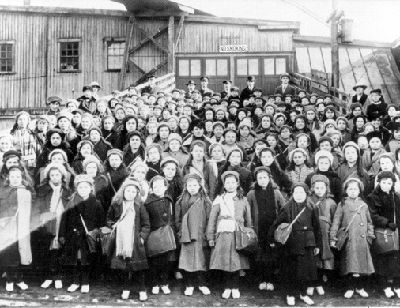 By 1914, 10,000 people of Japanese ancestry had settled permanently in Canada. Chinese migrants were obligated to pay a $50 "entry" or "head" tax before being admitted into Canada. The Chinese were the only ethnic group required to pay a tax to enter Canada. By 1903, the head tax was increased to $500; the number of Chinese who paid the fee in the first fiscal year dropped from 4719 to 8. BC passed the Act to Prevent the Immigration of Chinese. This act and its predecessor, which was passed in 1884, restricted the entry of Chinese immigrants. Both were disallowed by the federal government. 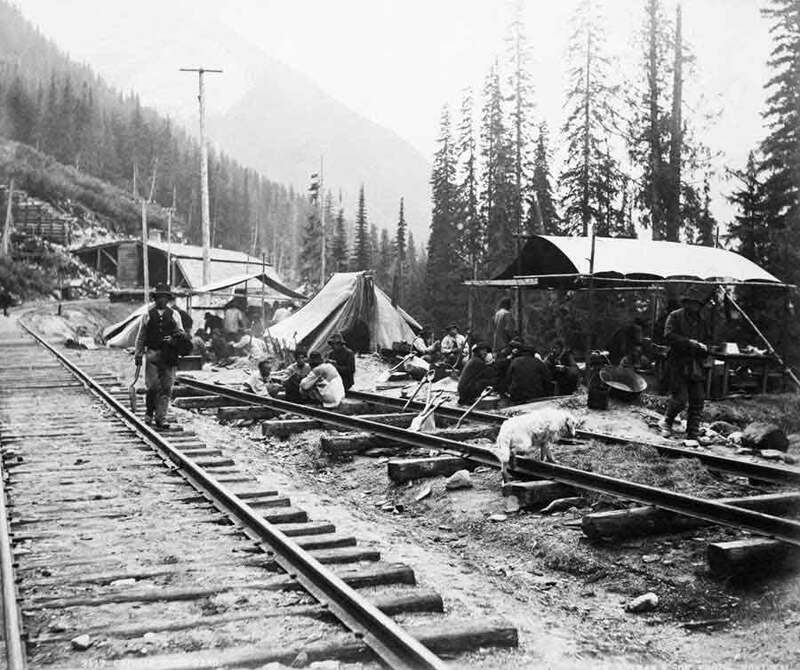 The federal government disallowed the British Columbia Act restricting Chinese immigration. 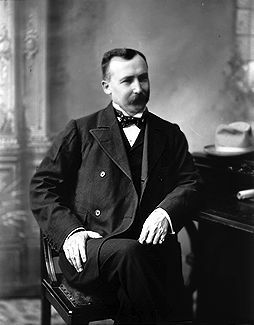 Clifford Sifton removed red tape, broadened the selection of potential immigrants and offered incentives to those who would come to settle the Canadian West, "the last, best West." The result was an influx of immigrants from eastern and southern Europe that changed the composition of the Canadian population forever. The first Sikhs came to Canada at the turn of the 20th century. Some came to Canada as part of the Hong Kong military contingent en route to Queen Victoria's Diamond Jubilee (1897) and the coronation of Edward VII (1902), and returned to Canada to establish themselves in British Columbia. More than 5,000 South Asians, more than 90 per cent of them Sikhs, came to British Columbia before their immigration was banned in 1908. About 2000 Doukhobors landed in Halifax from Russia, en route to farms in the West. The federal government appointed a Royal Commission on Chinese and Japanese Immigration, which concluded that the Asians were "unfit for full citizenship ... obnoxious to a free community and dangerous to the state." After the 1903 session of Parliament passed legislation raising the head tax to $500, the number of Chinese who paid the fee in the first fiscal year dropped from 4,719 to 8. The Canadian government disallowed a BC Act restricting Chinese immigration to that province. In October 1906, the Japanese vessel Suian Maru landed at Beecher Bay, on Vancouver Island. The group of 80 men and 3 women subsequently settled on Don and Lion islands near Richmond, BC. They worked in the fishing industry until the 1942 Japanese Internment. In October 2006, Richmond city council unveiled a plaque commemorating the Suian Maru voyagers. An order-in-council banned immigration from India and South Asian countries. The population of South Asians in Canada would drop to roughly 2,000, the majority being Sikh. 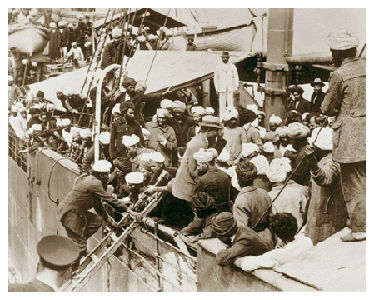 Though wives and children of legal Sikh residents were allowed entry to the country in the 1920s, it would not be until the late 1940s that the policies were changed to allow for full South Asian immigration to Canada. Several hundred people rioted through Vancouver's Asian district to protest Asian immigration to Canada. Discriminatory legislation and social practices in BC denied Chinese, Japanese and South Asians the right to vote, practise law or pharmacy, be elected to public office, serve on juries, or work in education or the civil service. Public opinion resulted on several occasions in violent anti-Asian riots. Alberta's Frank Oliver wanted tighter controls on immigration. 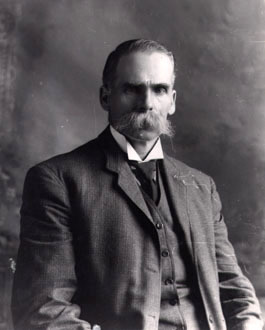 He became the Liberal government's Minister of the Interior in 1905. Oliver was staunchly British, and his policies favoured nationality over occupation. By 1911, he was able to assert that his immigration policy was more "restrictive, exclusive and selective" than his predecessor's. Harriet Tubman, ardent abolitionist and heroine of the Underground Railroad, died in New York in 1913. As a conductor with the Underground Railroad, she made 19 secret trips to the American South and guided more than 300 slaves to freedom in Canada. 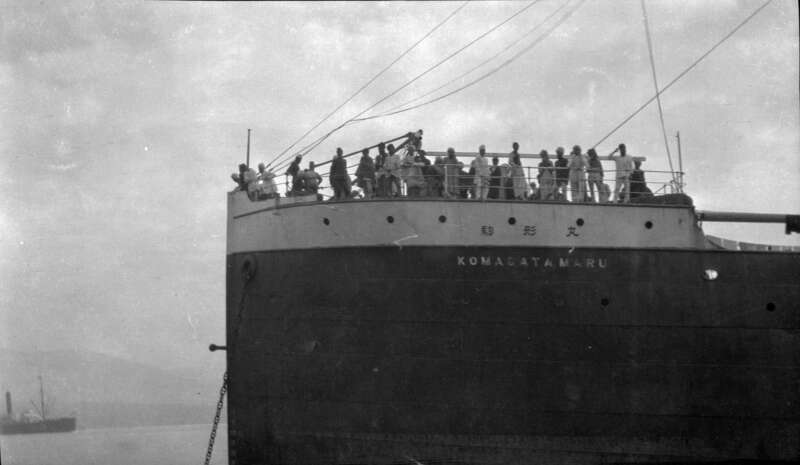 In 1914, 376 people from India aboard the immigrant ship Komagata Maru languished in Vancouver Harbour while Canadian authorities debated what to do with them. Exactly two months later, Canada's new navy, in action for the first time, escorted the ship from Canadian waters on 23 July while many Vancouver residents cheered approvingly from shore. An amendment to the 1908 Hayashi-Lemieux agreement reduced the number of male Japanese immigrants to a maximum of 150 annually. In 1928, the Gentlemen’s Agreement was amended further to include women and children in the count of 150. 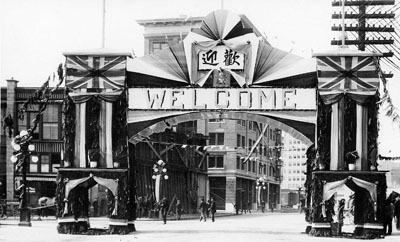 The Chinese Immigration Act was replaced by legislation that virtually suspended Chinese immigration on the day known to the Canadian Chinese as "Humiliation Day." The discriminatory legislation would not be repealed until 1947. 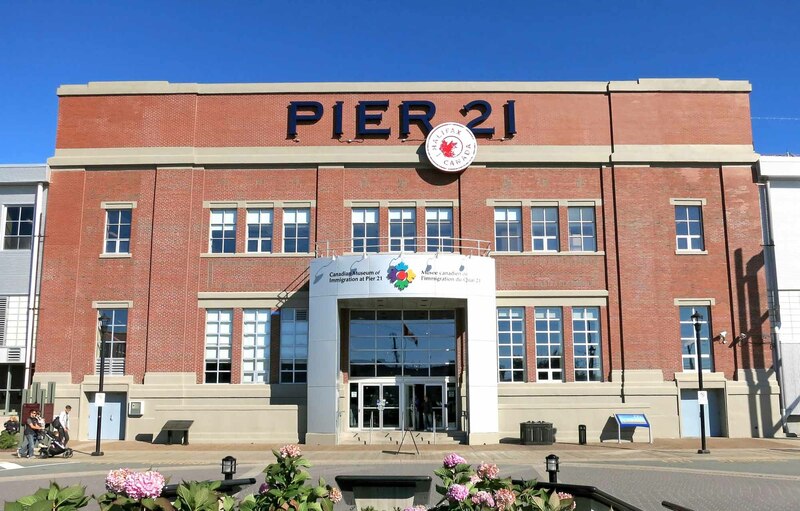 Pier 21 opened in Halifax, NS. The point of entry for some one million immigrants into Canada — and the point of departure for nearly 500,000 soldiers in the Second World War — it has often been called the “Gateway to Canada." 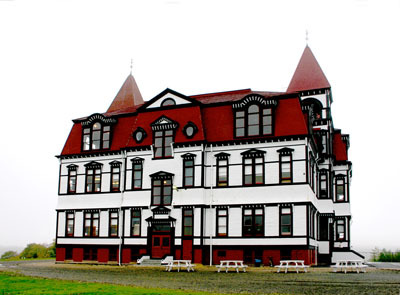 Today it is a national historic site and museum. Pier 21 was taken over by the Department of National Defence, becoming a departure point for roughly 500,000 Canadian servicemen and women bound for the Second World War. 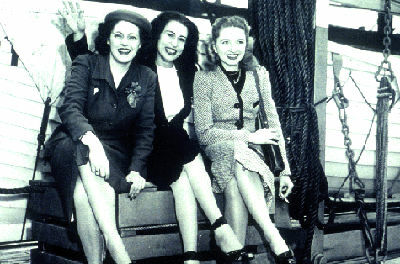 After the war, when the soldiers came home through Pier 21, a tide of war brides would return with them. At war's end, Canadian immigration regulations remained unchanged from the restrictive prewar years. But with a great demand for labour, Canada gradually re-opened its doors to European immigration; first to immigrants Canada traditionally preferred — those from the United Kingdom and Western Europe — but eventually to the rest of Europe as well. Immigration from Eastern Europe came to a halt, however, as borders to the west were closed by the Soviet Union and its Cold War allies. In 1946, after the war was over, the government attempted to deport 10,000 Japanese Canadians to Japan but was stopped by a massive public protest from all parts of Canada. Nevertheless, 4,000 Japanese Canadians, more than half of whom were Canadian citizens, were deported to Japan. The ship Mauritania docked in Halifax. It was carrying 943 war brides and children from England. Thousands of students took to the streets in Budapest to demand free speech and free elections in Hungary. The uprising ended when Soviet tanks rolled into the capital on 4 November. Some 37,000 Hungarian refugees fled to Canada. 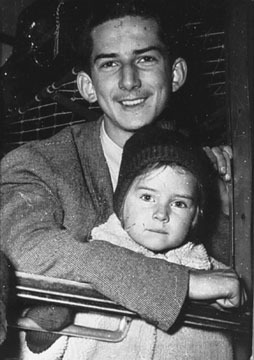 The first Hungarian refugees, fleeing their country after Soviet troops crushed their uprising, arrived in Vancouver. During her term as Minister of Citizenship and Immigration, Ellen Fairclough oversaw improvements to the Canadian Immigration Service, but her most significant accomplishment was the radical reform of the government's "White Canada" immigration policy. Regulations tabled in 1962 helped to eliminate racial discrimination in Canada's immigration policy. The second wave of Japanese immigration began in 1967 as a result of the “points system.” Many Japanese immigrants who came to Canada during this period worked in the service or skilled trades sectors. Prior to 1967, the immigration system relied largely on immigration officers' judgment to determine who should be eligible to enter Canada. Deputy Minister of Immigration Tom Kent established a points system, which assigned points in nine categories, to determine eligibility. Following the Immigration Act of 1962 and 1967 reforms, about 64,000 West Indians came to Canada. 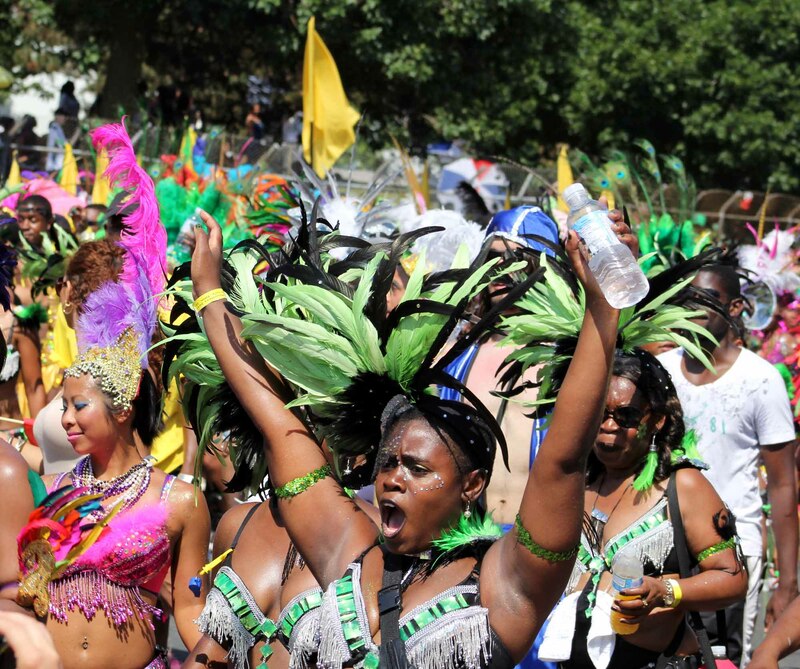 Canadians of Caribbean origin belong to one of the largest non-European ethnic groups in Canada. In the 2006 census, 578,695 Canadians reported that they originated from the Caribbean, and the overwhelming majority of these people have immigrated to Canada since the 1970s. The last vestiges of racial discrimination in immigration were gone from Canadian immigration legislation and regulations by the late 1960s. This opened Canada's doors to many of those who would previously have been rejected as “undesirable.” In 1971, for the first time in Canadian history, the majority of those immigrating into Canada were of non-European ancestry. Forty-three years after its official opening, Pier 21 was closed. A gateway to Canada, one in five Canadians has a connection to Pier 21, in Halifax, NS. Roughly one million immigrants passed through its doors between 1928 and 1971. The Vietnam War ended with the fall of Saigon, the capital of South Vietnam, to Communist forces. In the years that followed, many refugees risked their lives to escape the turbulent political context, human rights violations and rapidly deteriorating living conditions in Vietnam, Cambodia and Laos. By 1985, Canada had admitted more than 98,000 refugees from these countries. Since 2015, 30 April has been designated Journey to Freedom Day in commemoration of the perilous journey undertaken by Vietnamese refugees. Sharon Pollock's The Komagata Maru Incident, a play about the government's refusal to allow Sikh immigrants to land on Canadian soil in 1914, opened at Vancouver's Playhouse Theatre. In 1978, Canada enacted a new Immigration Act that affirmed Canada's commitment to the resettlement of refugees from oppression. Refugees would no longer be admitted to Canada as an exception to immigration regulations. 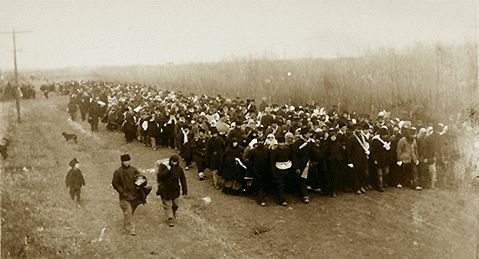 Admission of refugees was now part of Canadian immigration law and regulations. In 1978, Canada accepted 604 refugees from the freighter Hai Hong. The situation of the "boat" people and of Lao, Khmer and Vietnamese "land people" who fled to Thailand grew increasingly severe, and in response Canada took in 59,970 refugee and designated-class immigrants during the next two years. The refugee issue was dramatically brought home to Canadians in the late 1980s, when two ships illegally stranded their respective cargoes of Sikh and Tamil refugee claimants on Canada's East Coast. Amid greatly exaggerated fears that Canada was about to be flooded with refugees, Parliament and immigration authorities began tightening up refugee regulations and procedures. 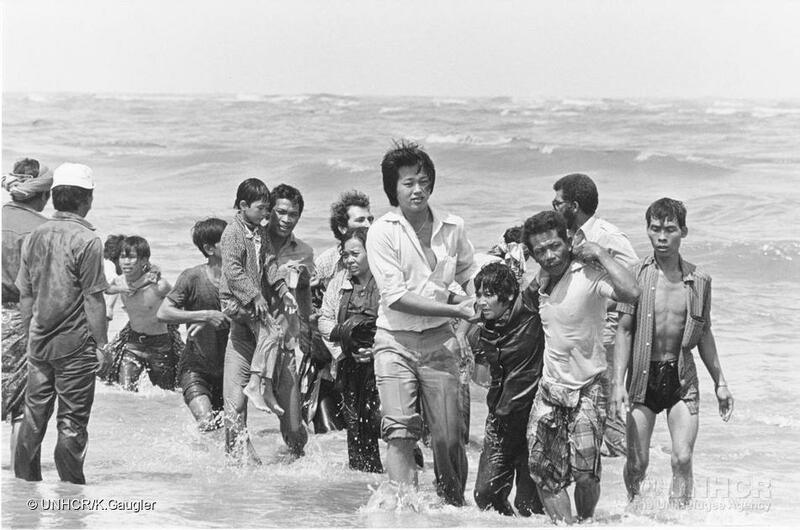 The first major refugee resettlement program under the new immigration legislation of 1978 came during the early 1980s, when Canada led the Western world in its welcome to Southeast Asian refugees and particularly those from Vietnam, often referred to as the "boat people." Many had escaped Vietnam in tiny boats and found themselves confined to refugee camps in Thailand or Hong Kong awaiting permanent homes. 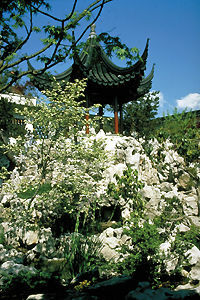 The signing of the Chinese-British Joint Declaration mandating the return of Hong Kong to China in 1997 began to cause a flow of Hong Kong capital and immigration into Vancouver. Canada changed its immigration policy to expand the list of business immigrants to include investors, entrepreneurs and those who are self-employed. This led to increased immigration from Hong Kong where people had begun to leave after Britain agreed to transfer its colony to China in 1997, and to a lesser extent from Taiwan. In the Singh Case, the Supreme Court of Canada concluded that a refugee has the right not to "be removed from Canada to a country where his life or his freedom would be threatened." Canadian fishing boats rescued over 150 Sri Lankan refugees off St. Shott’s, NL. The refugees were left in international waters by a smuggler. Without water, food or fuel, the refugees drifted for three days before being spotted. The rescue sparked a debate over how Canada approaches refugees, with some accusing the group of making false claims. In response to a string of similar events, the Mulroney government initiated a reform of the refugee system in 1988. The United Nations awards the people of Canada the Nansen Refugee Award "in recognition of their essential and constant contribution to the cause of refugees within their country and around the world”. 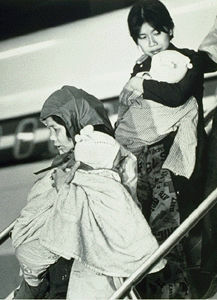 Between 1979 and 1981, Canada had accepted more than 60,000 refugees from Vietnam, Cambodge and Laos, many of whom were sponsored by Canadian families and private organizations. It was the first and only time the award was presented to an entire nation. The federal Immigration Department began legal proceedings against Erichs Tobias, a former Latvian accused of war crimes. Defence Minister David Collenette resigned, admitting that he had violated ethics guidelines by signing a letter to the Immigration Board on behalf of a constituent. After 156 years as a British colony, Hong Kong was returned to China. Many people left Hong Kong in the years leading up to the transfer. Canada, with the main destinations being Toronto and Vancouver, saw increased immigration in the mid 1980s and early 1990s. Unlike earlier Chinese immigrants, those from Hong Kong were educated and generally wealthy. In 1999, 11,200 Kosovars arrive in Canada, most of them airlifted during the Kosovo war. The Canadian Museum of Immigration at Pier 21, one of Halifax’s most popular historic sites, opened. 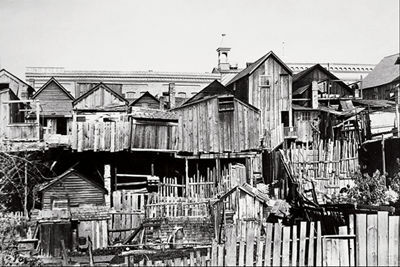 The museum tells the story of the Pier, the people who passed through it, and the lives they went on to live. The Supreme Court of Canada ruled unanimously that immigration officers must consider children's best interests before deporting their illegal immigrant parents. A fourth ship of illegal Chinese migrants was seized by the Canadian navy in Nootka Sound. Under much community pressure, Prime Minister Stephen Harper offered an apology to the Chinese community for the implementation of the head tax, which had been originally introduced in 1885. An official directive made in Parliament ordered compensation for the head tax of approximately $20,000 to be paid to survivors or their spouses. A Thai registered cargo ship with as many as 500 Tamils on board arrived in Canadian waters. The MV Sun Sea was intercepted by armed Canadian military vessels. Health and security officials boarded the ship in Victoria, BC, and the passengers given medical check-ups. They were then moved to detention centres in the Vancouver area to await processing of their refugee claims. The Parliament of Canada passed the Journey to Freedom Day Act, establishing 30 April as a national day of commemoration of the exodus of Vietnamese refugees and their acceptance in Canada after the fall of Saigon and the end of the Vietnam War. Prime Minister Justin Trudeau formally apologized for the Komagata Maru incident before the House of Commons. In 1914, a chartered ship carrying Punjabis who sought a better life in Canada was denied entry at the Port of Vancouver. A dramatic challenge to Canada’s former practice of excluding immigrants from India ensued. The passengers were finally turned away after a long legal ordeal, only to face a deadly conflict with police upon their return to India.